Solar Household Energy promotes the use of solar cookers in Mexico, Central America and Africa, especially amongst families who rely on expensive gas or gathered wood for cooking. 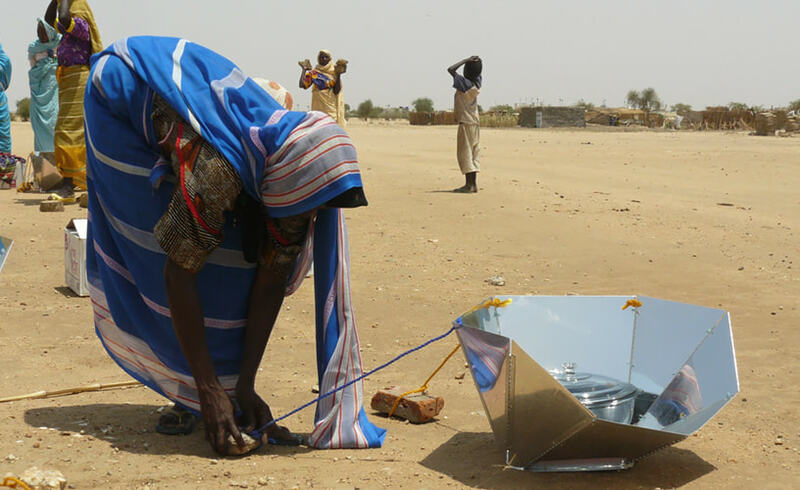 With solar cooking, families can often save up to one-quarter of their income previously spent on gas, and valuable time spent searching for fuel wood. This environmentally-friendly alternative frees up valuable time for school and other work, including opportunities for income generation.